On this weeks episode, Chris and the Beard discuss our simulated reality, IGN buying Humble Bundle. the one piece of Sci-Fi tech we’d have if we could, why beard is a video editor & more! + (00:00:28) – Tech giants are a problem. + (00:07:38) – You can die in weird ways. + (00:12:08) – Google’s home assistant was “accidentally” listening to everything you said. + (00:15:10) – IGN has bought Humble Bundle. Are they dead? + (00:19:00) – Are we living in a simulation? + (00:40:00) – #AskError: What one sci-fi device would you want more than any others? 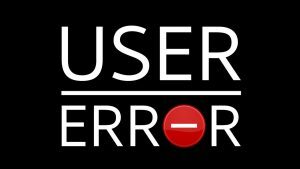 + (00:43:38) – #AskError: Why have a video editor when you don’t make video content anymore?